Contact me to reserve your spot! 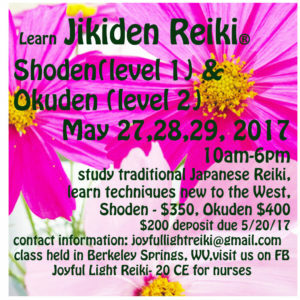 Learn Jikiden® Reiki for you, friends, family – to make yourself and everyone calmer, healthier, relaxed! Yep!